This is Penthul, friend of Tembem. 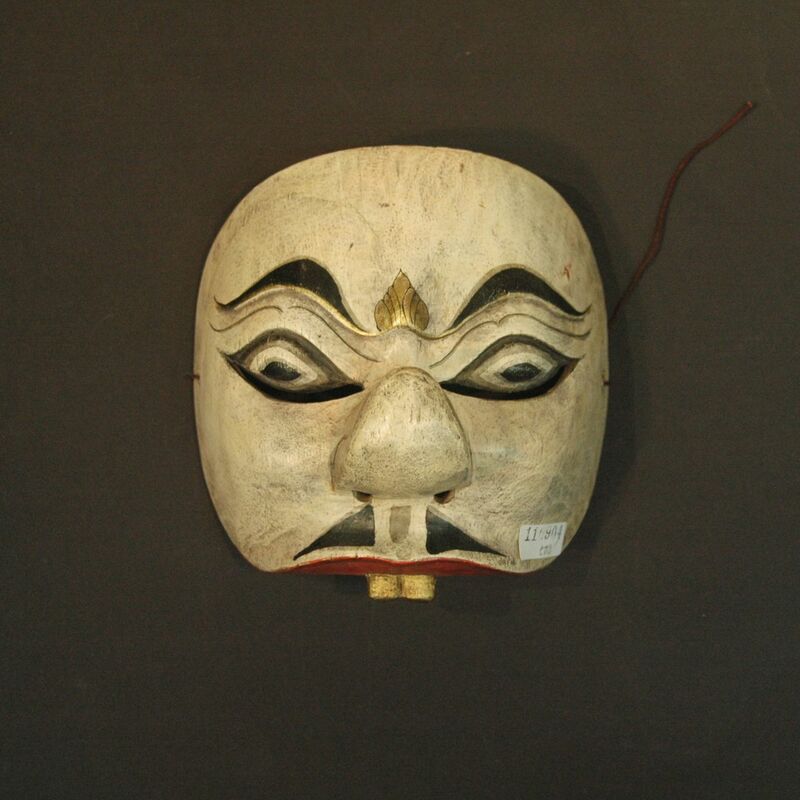 They are masks for the Jathilan folk dance, a Javanese hobby horse trance dance for exorcising evil spirits showing a battle between good and evil. Jathilan dance is performed to celebrate harvest, weddings; originally it was a rite of passage to adulthood, the child whole mimic riding a horse and crossing over to become an adult. Penthul and Tembem appears in the first act of the dance, they are the princes from the Kediri Kingdom who were faced by the forest spirits who attacked theirs soldier sending them into a trance.